Rich Funk is a glorious name. Rich Funk is not only a Kotaku (hi Rich Funk! ), Rich Funk is also a NBA 2K12 owner. According to Rich Funk, "My legal name is Richard Funk. As I usually do with sports games, the day I got NBA 2K12, I created myself as a player in the game. Again, I used my legal name." 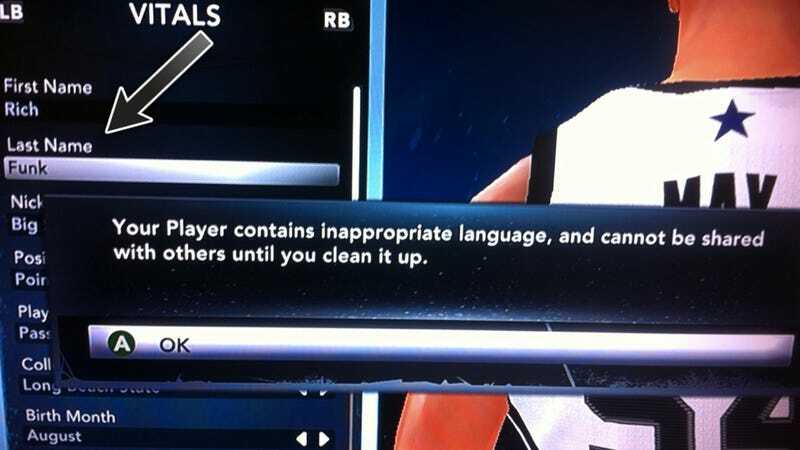 Above is how NBA 2K12 apparently reacted to "Rich Funk". It did not like Rich Funk. "I've emailed 2K Sports about this, but haven't heard anything back. Have you heard of anyone else getting punished like this? It's not my fault I'm German!" It's also not Rich Funk's fault he has a super cool name.